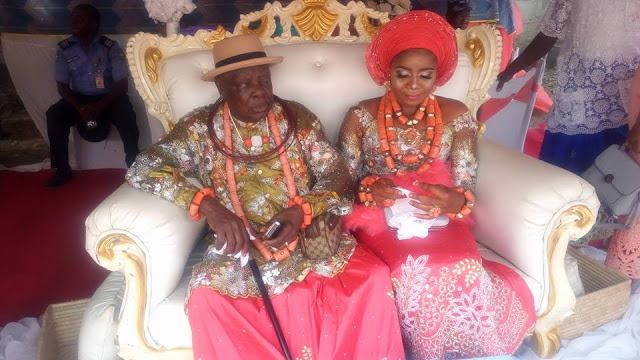 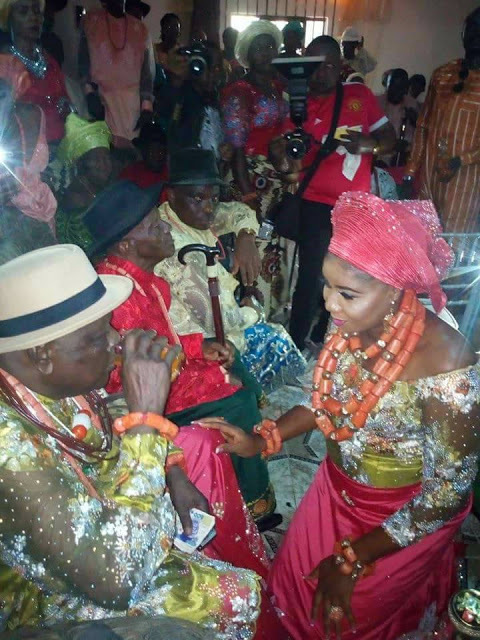 Chief William Ibori, the former Unugbrogo of Oghara kingdom got married to his younger bride traditionally yesterday in Ogharefe, Ethiope west local government area of Delta state. 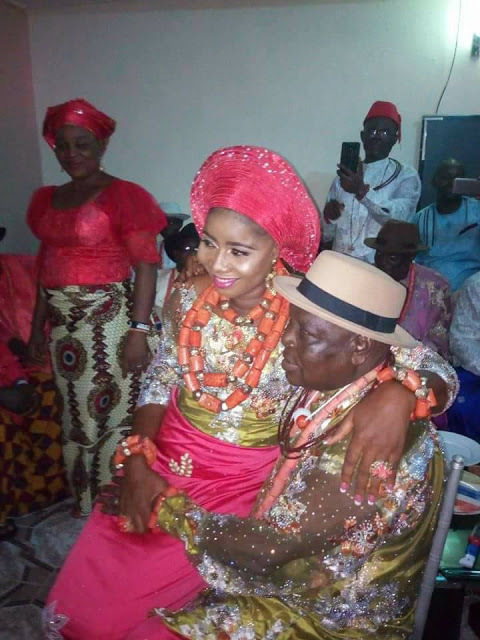 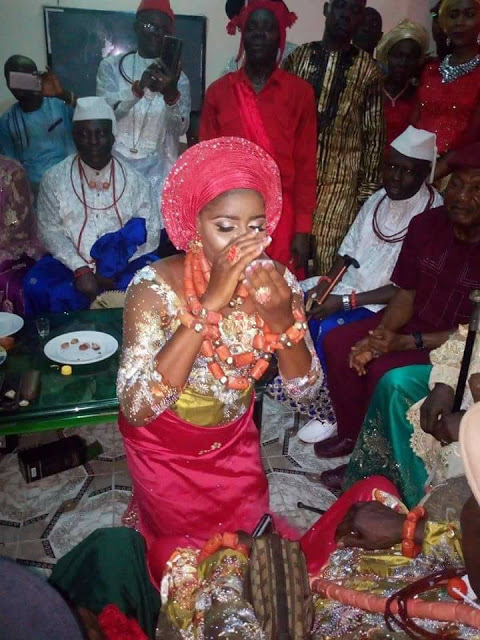 The new husband who is the elder brother of former governor of Delta state – underwent the traditional process to claim his new wife in the presence of family and friends. 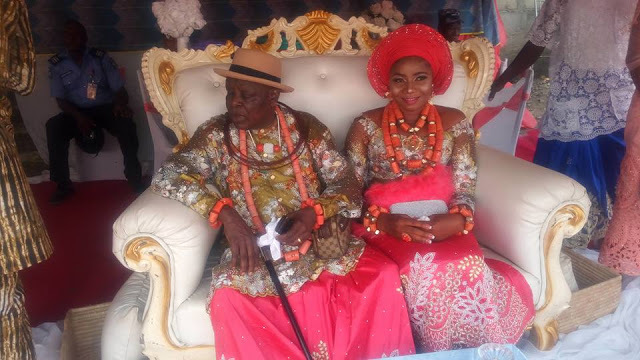 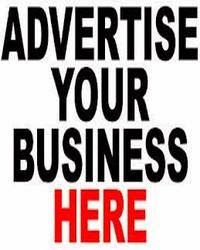 In 2010, HRM Oreki II, the Ovie of Oghara Kingdom, derobed the former Unugbrogodo of Oghara Kingdom, William Ibori, elder brother of Chief James Ibori, former Governor of Delta State, as an Okakuro (Chief) of Oghara Kingdom. 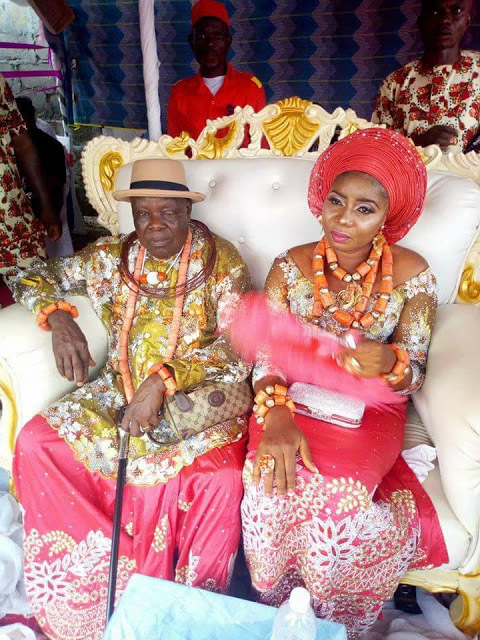 According to reports, he was derobed as result of ‘gross acts of disloyalty and disrespect’ to monarch and the traditional institution.